Chrome OS has received plenty of touchscreen improvements in the last few months. The story starts with the decline in popularity of Android tablets. Android tablets are nearly dead because of multiple factors, and Google now intends for Chrome OS to take up where Android had left off. To that end, we have seen the first Chrome OS tablet be announced by Acer. HP has also announced the world’s first detachable Chrome OS tablet. However, there are still issues which must be resolved before Chrome OS can replace Android as a great tablet operating system. Recently, we have seen Google add tablet-focused improvements such as a floating keyboard, split screen, Android-like lock screen notifications, notification snoozing, full-screen launcher in tablet mode, and more. The improvements are helpful, but there is still quite a way to go. 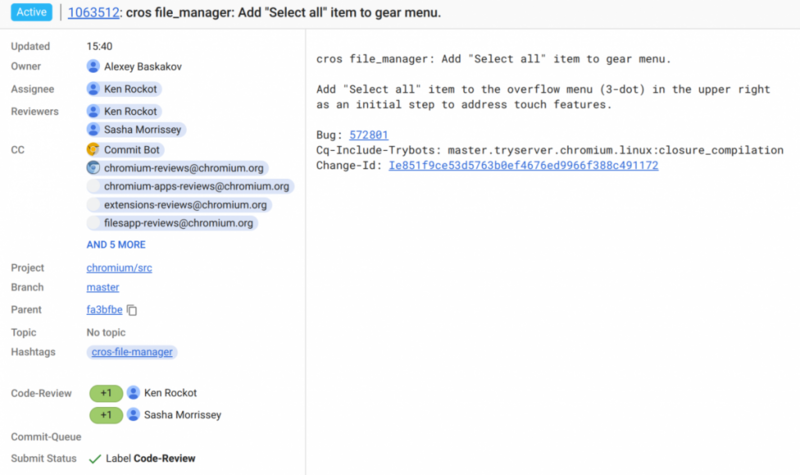 Now, we found a commit in the Chromium Gerrit which indicates that the Files app may soon get a “Select all” option as an initial step to address touchscreen features (or the lack thereof). It should be noted that the commit hasn’t been merged yet. When it’s merged, Chrome OS users will be able to select all files in the File Manager by tapping the “Select all” option from the overflow menu. This will be helpful since currently the only way to select all files in the Files app is with a keyboard shortcut (CTRL+A) or by highlighting all items with a click and drag mouse gesture, but neither is possible on a Chrome OS tablet. The addition of the “Select all” option is minor, but the description of the commit is arguably more interesting. 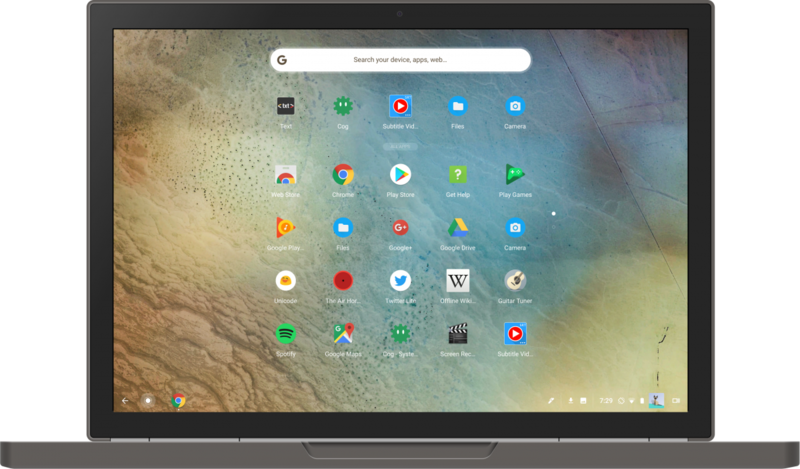 This is because the description states that the option is being added “as an initial step to address touchscreen features,” which means that we should expect more touchscreen improvements to make their way to the Chrome OS File Manager soon. On a related note, Google has also recently added a shortcut in the Files app to manage Google Drive files.